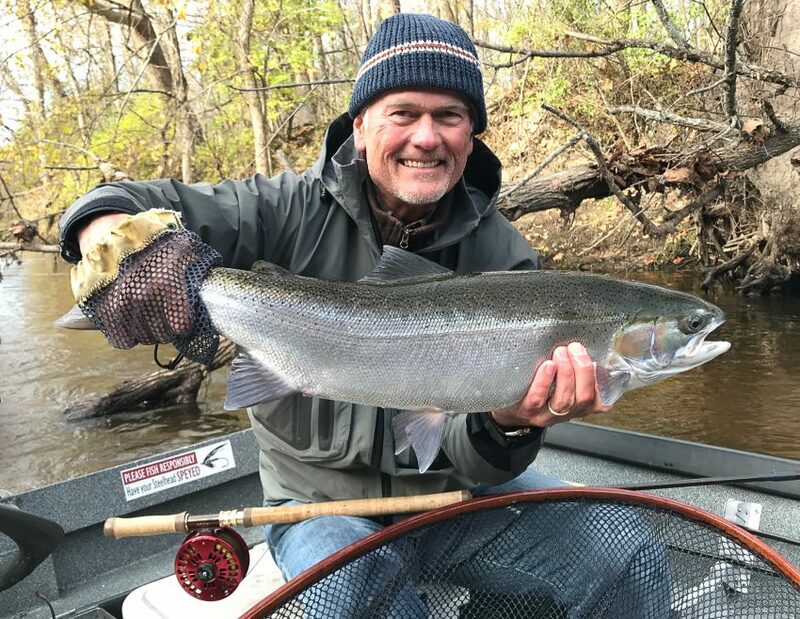 Everything was just right on the river today–good guys and cooperative steelhead! I couldn’t have asked for it to have been better for the guys. The river has fallen to a near ideal level. Water temperatures remain right about 50 degrees which is still pretty warm for the date. We’ll likely shed a few degrees with the arrival of some chilly air Wednesday night. Get your two-hander out, swing some flies, and enjoy it! Pictured above is Kim with a great steelhead first thing this morning. 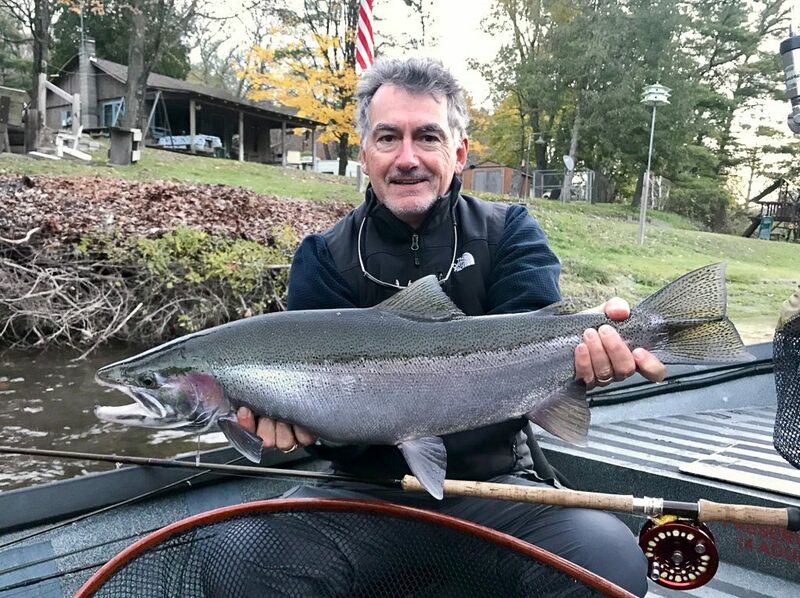 Dave is pictured below with a great hen steelhead from this afternoon.